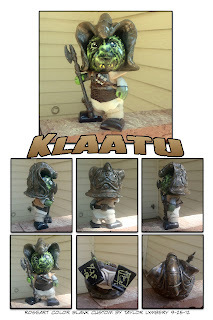 Taylor's Sweet Little Art and Nerd Site: Taylor's Toy Tuesday's DIY Custom- Klaatu! 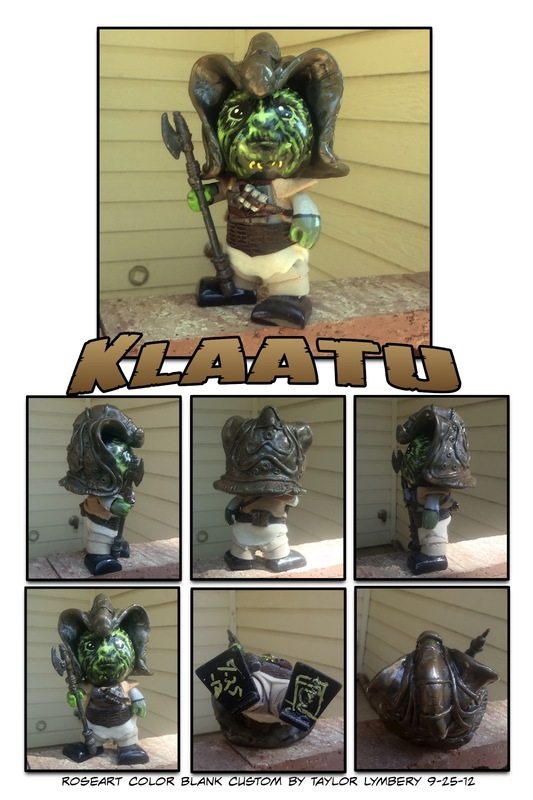 Taylor's Toy Tuesday's DIY Custom- Klaatu! This character is one of those many thugs from Jabba's palace in the film Return of the Jedi. I really liked the look of this guy from the vintage Kenner action figure days! I mixed a little of his look from the Vintage Kenner action figure and the new Hasbro Vintage Collection action figure. I love the dark brown tones of the Kenner toy, but when I was making this, I decided that maybe I should make some of his look closer to how he is in the movie and how Hasbro handles his look in the Vintage Collection. My biggest decision on how to make this character was whether to use paint as a way to show the spiked and ridged face or make actual spikes. I decided on the painting figuring that it would lead more to the custom vinyl toy look. 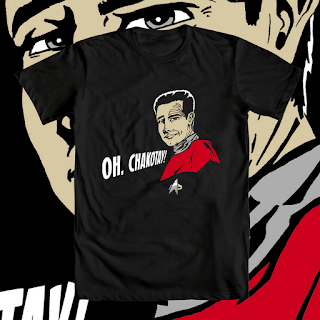 My Star Trek Tees are ready to be voted for! You'll have to create an account for welovefine or sign in to your account to vote but never mind that; go vote! 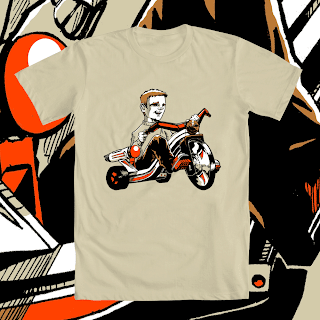 I'll leave links for the shirts below their respective picture. 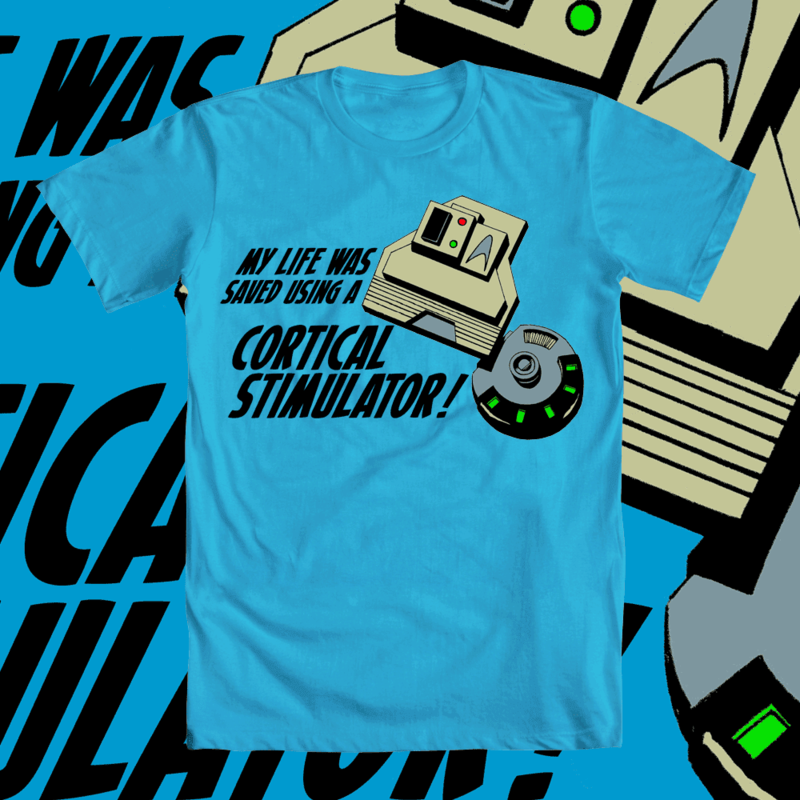 I could almost make a drinking game on how many times the mighty cortical stimulator has saved someone's life! 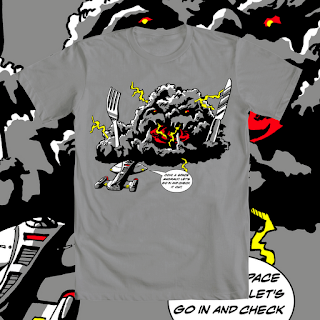 Go see this design on welovefine.com here! No one can melt Captain Janeway's heart away like this Maquis hunk, leaving Katherine only saying, "Oh, Chakotay!" 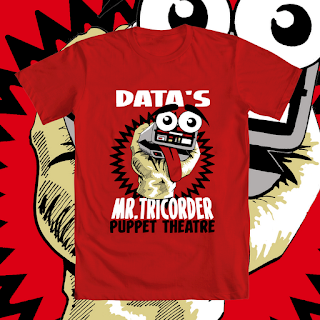 Go see this design on welovefine.com here! It seems silly, but every kid that liked star trek that I knew, wanted an Enterprise to ride around on. It would've been awesome. 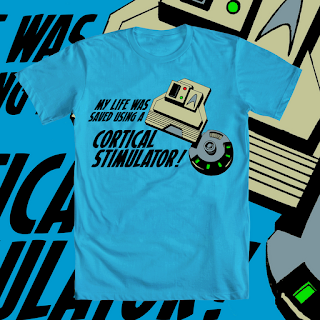 Go see this design on welovefine.com here! There was one episode in the Voyager series where Neelix asked why Voyager had to go and inspect every anomaly it came across. Shortly after, the ship was trapped in a sub-space hole in a nebula; and then after that, about to be devoured by a living ion cloud monster; and then after that... You get the picture. Go see this design on welovefine.com here! I've read that the scene in Generations where Data is using his tricorder as a puppet, is thought to be one of the worst jokes in the Star Trek universe. When I saw this scene in the theater, I laughed so hard I had soda shoot through my nostrils! Needless to say, I still find it kind of funny. Don't judge... Go see this design on welovefine.com here! Taylor's Toy Tuesday's DIY Custom- Buzz-Off! Taylor's Toy Tuesday- DIY Preview!!! Pin-up of the Day- Obi-Wan Kenobi! Taylor's Toy Tuesday's DIY Custom- Superpony! Pin-up of the Day- The Emperor's Royal Guard! Pin-up of the Day- Dredd!